all morning, piece by piece, to the curb. nutrients get spread over the land, by the exodus of flies, beetles, etc. You need to get home as soon as you can. daydream of a mind strung between past and present. Row on row of rich green stalks. Something is coming more than we know how. from someone else’s status, and so on. a complex and mobile intimacy . . .
tinder polypore, sulfur shelf, sapsucker—. The wood returns to the soil as humus. The road out of town . . .
acres, and an average yield of 158 bus an acre. to operate at full strength . . .
solution against earworm, army worm. consume us, even after we are dead. Not even the worms. I’m just a picker, he says. hereabouts. Treasure hunter,geocacher, scrounge . . .
above the soybeans. Swallows in the air. chef-boyfriend blew up their stove and him with it. Agrigold 6267 Agrigold 6472 . . .
And strike thy sparkes within my tinderbox. Evelyn’s pie safe. Waterford bells. How do you keep a thing you cannot touch? Portrait of the boys above the table. Denbeigh Acres Our Manors Have Manners. Four names. One crossed out. Heirlooms edited. pillowcases [ ] FOPs tolerant. on the stuff you want, that’s what he told me. 14 China Birds. Publix Cineplex. Daniels Midland, Tyson, ConAgra, Swift . . . The grey lawns cold where gold, where quickgold lies! Wind-beat whitebeam! airy abeles set on a flare! Flake-doves sent floating forth at a farmyard scare! Ah well! it is all a purchase, all is a prize. a thousand miles of rich green stalks . . .
automobile would use in more than eighty round trips to the moon. to enhance growth and durability. to enhance growth in corporate profits. Here is your examination: Choose one. gloves off— fanning our faces. familiars, her club’s notables . . .
Tell me your relation to pain, and I will tell you who you are! do not know. I have not been able to find out. I have rummaged through many other writers’ works to compose this sequence. Among those I directly quote or cite are Bernd Heinrich (Life Everlasting); Melanie Challenger (On Extinction); Frederick Seidel (“Green Absinthe”); Monsanto Corporation (online product information); Ron Sterk (“Crunch Time for Midwest Corn Growers”); Richard Conniff (“What Are Species Worth?”); Louise Gluck (“First Snow”); Edward Taylor (“Meditation 49”); Mario Santiago Papasquiro (“Advice from 1 Disciple of Marx to 1 Heidegger Fanatic”); Gerard Manley Hopkins (“The Starlight Night”); Margaret Wise Brown (Goodnight Moon); W. S. Merwin (“Elegy,” “Words from a Totem Animal,” “Trees”); Ernst Junger (On Pain); Brenda Hillman (“Light Galaxies Sleep for our Mother”); Colin Tudge (The Tree); and Nick Reding (Methland). I have referred to sites provided by the American Medical Association, the United States Department of Agriculture, and both Wikipedia and Facebook. Parts of two sections (“A short ride in the van” and “Under English ivy”) first appeared separately, under different titles, in different forms, in The Virginia Quarterly Review and Literary Imagination. 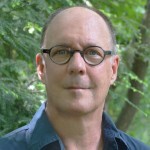 David Baker‘s latest book of poetry, “Never-Ending Birds” (W. W. Norton), received the Theodore Roethke Memorial Poetry Prize in 2011, and his “Show Me Your Environment: Essays on Poetry, Poets, and Poems” appeared this year (2014) in the Poets on Poetry series at the University of Michigan Press. “Scavenger Loop” is the title sequence to his new volume of poems, to appear in May 2015 from W. W. Norton. 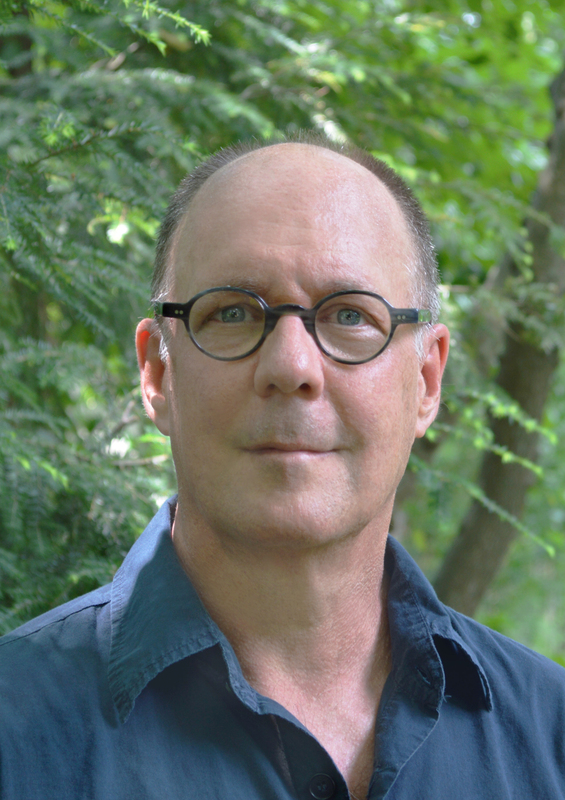 He serves as Poetry Editor of The Kenyon Review and teaches at Denison University in Granville, Ohio. Copyright © 2016 by At Length, unless otherwise noted. All rights reserved.